So business is soaring and what was once a few of employees has grown to be a handful of hopeful employees. With your business’s success riding on their performance and loyalty, keeping them happy is crucial, and a simple way to do it is getting their payslips out on time and without any missing zeros. The BIR will provide you with a business registration number, also referred to as the employer identification number. The SSS, PhilHealth, and HDMF will also provide you with their own respective number that you will use for the mandatory contributions for your employees. Having adequate and above average knowledge on the Philippine Labor Code could mean the difference between being penalized and not. Ignorance on legal matters is not enough to shield you when a violation occurred. One of the best ways to prevent being surprised with a lawsuit is learning more about the labor code and identifying the problematic areas. From there, you can take steps to deter or stop issues. When the payroll policies have been established, passing them on to the employees is also crucial. A comprehensive meeting that explains the policies and providing them with a payroll policy guide is ideal to ensure that every employee is on the same page. The information above needs to be updated whenever there are any changes, particularly address, tax status, and the number of dependents. Philippine labor regulations require employers to provide the government with an update employee payroll data on a yearly basis. Any new employees need to be reported immediately to SSS, PhilHealth, and BIR. According to Philippine laws, part of the employer’s obligation is to assist first-time employees to obtain their identification numbers for PhilHealth, SSS, Pag-IBIG, and BIR. Each of the payment frequencies mentioned above has their own benefits and drawbacks. Generally, the more frequent you do payroll means the fewer numbers to crunch, or the less frequent means less. Choosing a payment method is also relevant in deciding on the payment frequencies. Employers could either pay their employees through cash, checks, or electronic transfers. Cash payouts could mean trips to the bank to withdraw or sorting the cash on hand. Checks, on the other hand, is simply handing them out and balancing. However, the drawback is that employees might get frustrated by having to go to the bank themselves to deposit or encash the check. Electronic transfers that directly deposit salaries to the employee’s accounts is the most popular and convenient method. Employers need only to work on creating an account, set a transfer system, and preferably help employees set up an account on the same bank. The more involved you are in the payroll processing in your company the more that you have to know about how the payroll process is done. This means that you would have to get an extensive understanding of Philippine labor laws and computation for salaries, withholding taxes, statutory deductions, overtime rates, holiday pay, absences, tardiness, and benefits. Employers should constantly be updated with the latest changes in the processes according to each government entity. This is basically calculating payroll outputs with a more hands-on approach. This means you punching in the numbers yourself after figuring out all the factors in payroll calculation, such as withholding taxes, labor rates, statutory contribution rates, and so on. 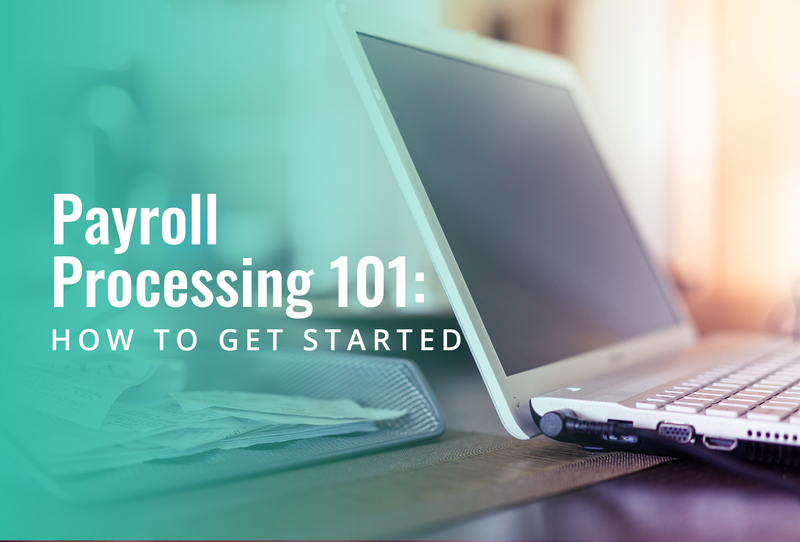 The process might be tedious, but it will help you attain a deep understanding of how payroll is done. However, it is time-consuming and takes a bit of effort. Using a software to process payroll is great for those who want to still be in control but just want to get the payroll task faster. Payroll system automates many of the payroll processes, which makes it easier to calculate salaries, send government reports, and track your finances in the area of payroll. Payroll software requires a small learning curve and knowledge on payroll matters. The price may vary according to your choice of payroll software provider, and additional costs such as hardware may also vary due to their requirements. For those who simply do not have the time to process their payroll, outsourcing their payroll processes is the way to go. With a few submission of information to the payroll outsourcing company, all that the employers need to do is wait for the payroll calculations and approve. Depending on the company, government reports are done as well as part of their services. Payroll outsourcing also comes out cheaper than hiring an in-house employee to process your payroll. Employers should keep in mind to still pay attention to the output that the choice of their outsourcing payroll company provides them. The liability still falls on the employer if there are any errors. On that note, employers should only hire a company with an experienced staff and who are duly certified. Having a fully functional and reliable payroll process is part of the growing success of any company. Timely and accurate salary payouts bring confidence and contentment among employees, helping avoid legal matters that damages the reputation of the company. Payroll processes could get complicated, but they don’t have to be… After all, it’s JustPayroll.